Secure Checkout View rates in your currency AUD - Australian Dollar BGN - Bulgarian lev BRL - Brasilian Real CAD - Canadian dollar CHF - Swiss franc CNY - Chinese yuan renminbi CZK - Czech koruna DKK - Danish krone EUR - Euro GBP - Pound Sterling HKD - Hong Kong dollar HRK - Croatian kuna HUF - Hungarian forint IDR - Indonesian rupiah ILS - Israeli shekel INR - Indian rupee ISK JPY - Japanese yen KRW - South Korean won MXN - Mexican peso MYR - Malaysian ringgit NOK - Norwegian krone NZD - New Zealand dollar PHP - Philippine peso PLN - Polish zloty RON - Romanian leu RUB - Russian rouble SEK - Swedish krona SGD - Singapore dollar THB - Thai baht TRY - Turkish lira USD - US Dollar ZAR - South African rand ? Spacious and contemporary in design with everything you need to hand. Recently refurbished large sized Ensuite Room. Not only do we offer the Best Rate Guarantee on our Official Website, but for booking in advance and prepaying for your stay, we reward you with and additional 5% off our Room Rates. Advance Purchase rates are strictly non-refundable and non-transferable. The full reservation value is taken at point of reservation. Modifications and cancellations are not permitted. This includes any add-ons to your room. Please Note: Should your payment not process at the time of booking the hotel reserve the right to cancel the booking. Spacious and elegant in design with everything you need to hand. 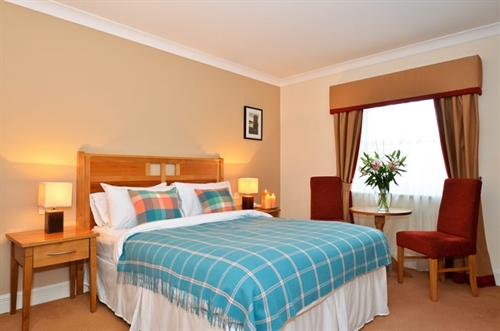 Recently refurbished large sized Ensuite Room with a large double bed and a single bed. 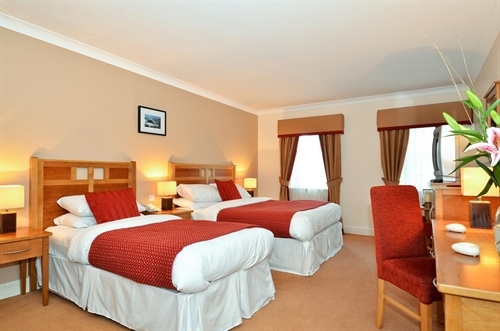 Twin Occupany (Sleeps 2) Not only do we offer the Best Rate Guarantee on our Official Website, but for booking in advance and prepaying for your stay, we reward you with and additional 5% off our Room Rates. Advance Purchase rates are strictly non-refundable and non-transferable. The full reservation value is taken at point of reservation. Modifications and cancellations are not permitted. This includes any add-ons to your room. Please Note: Should your payment not process at the time of booking the hotel reserve the right to cancel the booking. Twin Occupancy, Sleeps 2. 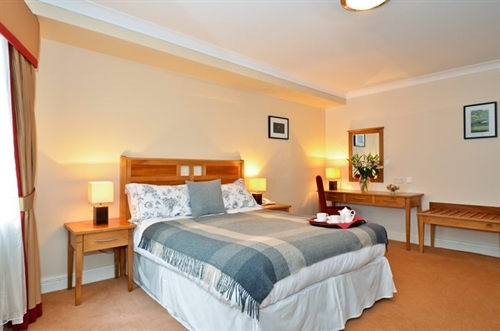 Recently refurbished large sized Ensuite Room with TV, Tea and Coffee making facilities and a Hairdryer. Iron and Ironing Board available on Request. Rate includes Free Wifi throughout the hotel and a cooked Breakfast. Spacious and elegant in design with everything you need to hand. Recently refurbished large sized Ensuite Room with a large double bed.